Kids lined the sidewalk in front of a Buckhannon (West Virginia) Academy Elementary School as their teachers raced by in teams of two. It was just before Halloween, so teachers dressed in football uniforms, pink rubber boots, and toilet paper might not have seemed such an odd sight -- except for the fact the costume-clad educators were pushing each other on office chairs! Halfway across the country reading specialist Sandy Lambert and Principal Kim Lasanby-Barber dressed as pirates and “walked the plank” as students cheered them on. The pirate-themed celebration culminaed the fall reading challenge at Lincoln School in Spring Valley, Illinois. Students earned the reward by exceeding the goal of reading for 80,000 minutes. The school’s 200 students read for a total of 196,310 minutes. Principals and teachers across the country do all sorts of crazy things to encourage students to pick up books and read. Here are more examples of schools in the middle of “reading challenges". Students at William E. Young School in Homer Glen, Illinois, are involved in a 100,000-minute reading challenge. “If 95 percent of Young Elementary students read 30 minutes a night, that means our school will have read 100,000 minutes total in just one week,” said Principal Michael Szopinski. If students achieve the goal, Szopinski will don reindeer antlers and a blinking red reindeer nose during the week of November 29. If all goes to plan, students at Stafford (Texas) Primary School will see their principal, Kim Yen Vu, in a dunking booth next spring. The year-long “Principal’s Reading Challenge” has been going on at Stafford for a few years. Back in 2008, Vu kissed a pig when students reached their goal. This past year, she sat atop a wall -- the school’s marquee -- dressed as Humpty Vu-mpty. This year, teachers and students “aim” to see Principal Vu soaked. Students at Bonneville Elementary School in Orem, Utah -- where the school mascot is a bronco -- had a year-long “Top Bronco” reading challenge. Parents log students’ at-home reading minutes on monthly calendars. The goal is for K-2 students to read 50 hours during the school year and grade 3-6 readers to read 75 hours, explained Principal Shawn Brooks. 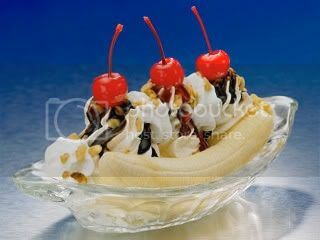 To motivate students, a January “half-way-there” banana split party will be held for students who've achieved half their goal. A “Double Club” movie party will be held for students who read double their goal. At West Rocks Middle School in Norwalk, Connecticut, students take on the “Read Around the World Reading Challenge.” Students earn “miles” for each book they read on their way to 29,000 miles. To be precise, a trip around Earth is 24,901 miles, but students will stop off in -- and learn about -- some of the world’s major cities as they travel. “As students participating in the Read Around the World Reading Challenge will get raffle tickets and be eligible for prizes,” added Dr. Lynne C. Moore, the school principal. At Burr Intermediate School in Commack, New York, the “Burr Reading Challenge” encourages students to make reading a daily habit, with special events to motivate them to read. During October students wrote book reviews on paper bags.. The “paper bag book reviews” are displayed throughout the school in (American Education Week), and after that week the bags will go back to the supermarkets to share with the community. What would students do to see their principal throw cow chips, spend a night on the roof, or get slimed? It turns out that they will do a great deal -- of reading! Included: From becoming ice cream sundaes to singing songs and kissing pigs, see what principals have done to encourage their students to read. Students pledge to read thousands of pages… First- and fifth-graders buddy up for reading… Those events and others are part of school-wide reading programs at two Minnesota schools. Included: Additional activities to help make reading a school-wide goal. What are other ideas you can think of to challenge and then reward your students for reading! Make Reading Fun!